A chimney cap will keep rain water from coming down your home’s chimney. Rain water can damage chimneys with stainless steel liners, chimney dampers and chimney mortar joints. Beyond the damage from the water itself, moisture from rain water can produce mold and mildew. Animals like birds, raccoons and squirrels often try to make their homes within chimneys. In many cases, these critters will enter the chimney but won’t be able to exit, eventually dying. This can produce maggots, flies and unpleasant odors in your home. 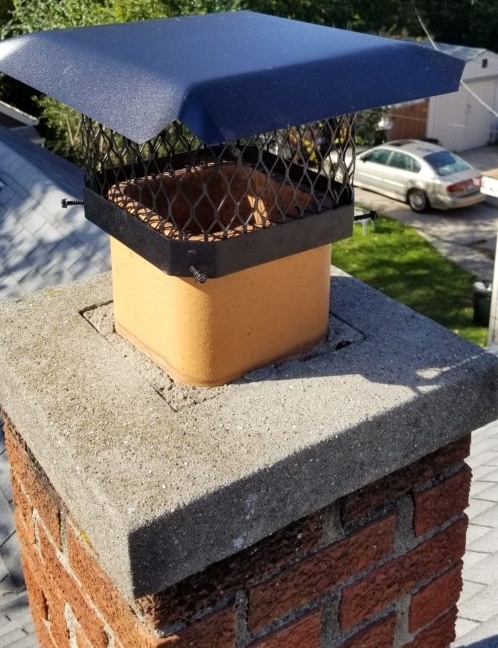 A professionally installed chimney cap, sized properly, will prevent animals from entering the chimney. If the wind is blowing in a certain direction, it can introduce a downdraft. If you don’t have a chimney cap and you’re using a wood-burning fireplace at the time, a wind-induced downdraft has the potential of blowing smoke back into your home. The flat-shaped top of a chimney cap is designed to help prevent wind-induced downdrafts. Some people refer to chimney caps as spark arrestors, which basically means that the chimney cap helps prevent lit embers or sparks that travel up the chimney from landing on roof, possibly catching it on fire. If you found this information useful please like and share! Why do roof shingles blow off?